A pretty staple event on every parents December calendar is taking the kids to see Santa but have you ever taken them to see Santa in a bus?!?!?! This year we got to do just that and it was fantastic! 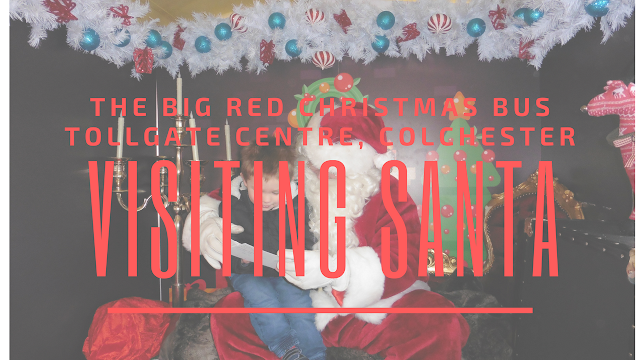 The Big Red Christmas Bus is a returning Christmas treat to the Tollgate Shopping centre in Colchester. This year the bus opened its doors in the 9th and 10th December between 10am and 6pm (Saturday) and 11am and 5pm (Sunday) and invited families to join in the festive fun and we went along to join in and meet the man himself. The fun started as soon as we arrived at the bus. With an amazing donut stall (mamas donuts is seriously THE BEST) and a face painting hut right outside it made queueing no problem at all. 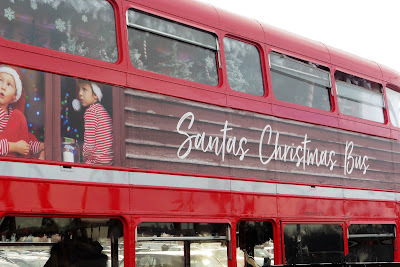 It may have been cold but munching my way through a Mamas Donuts made the wait time fly by and soon we were welcomed into the lower deck of the bus by some lovely elves who also gave Pickle some yummy chocolate. 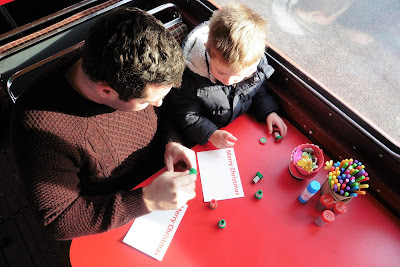 We were then shown to a table and given all the things that we needed to write our postcards to Santa. 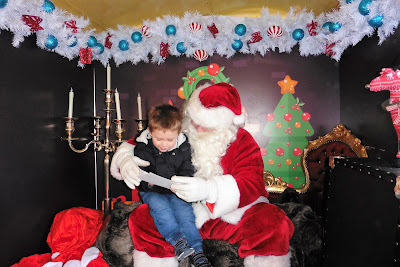 Pickle loved this bit and I feel it really made the bus different to other grotto experiences we’ve had. We all sat and decorated our postcards with stickers and drawing and ALL the glitter and then we wrote on the back what we wanted to ask Santa for. It was a lovely little arts and crafts session and seeing as this event is free I think it’s a really lovely touch. 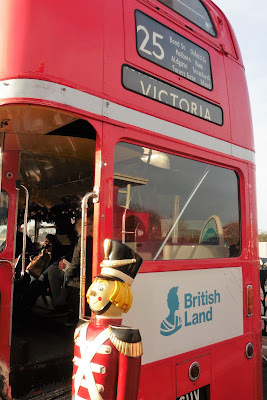 Once our postcards were finished it was time to head upstairs to meet the big man himself and I honestly gasped when I got to the top of the stairs and saw the top deck of the bus. It was like a festive winter wonderland. Pickle was amazed when he reached the top of the stairs and I must admit I got a bit teary eyed as I saw his little face light up when he spotted Santa. 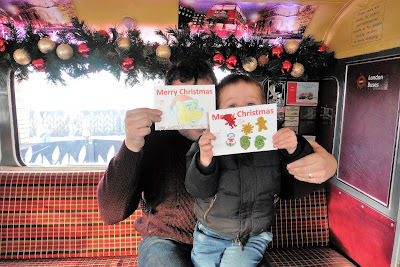 You can see exactly what Pickle told Santa he wanted in the video I made of our time on the bus.